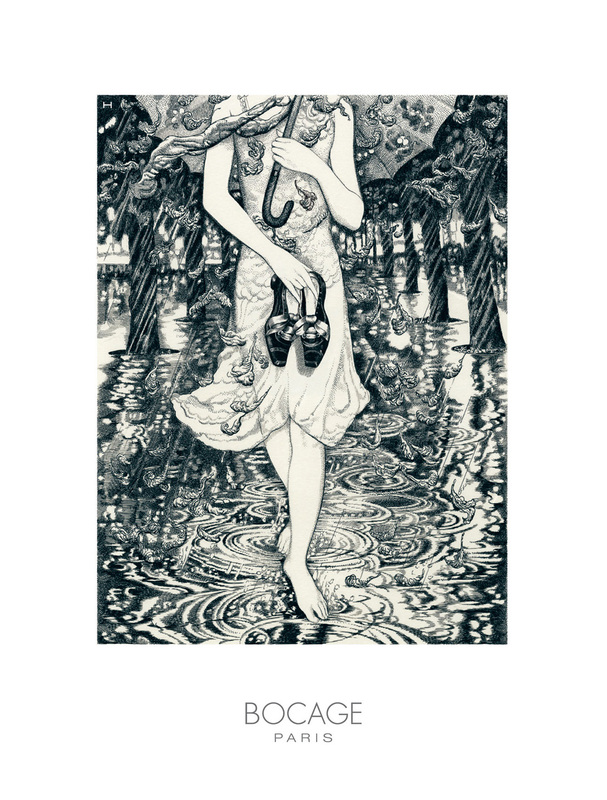 Bocage Shoes in Paris have an exceptional advertising campaign showing the value of their footwear in the wet. Of course, they’re so valuable that they must not be worn in the rain or the snow. Click on the images below for higher definition. 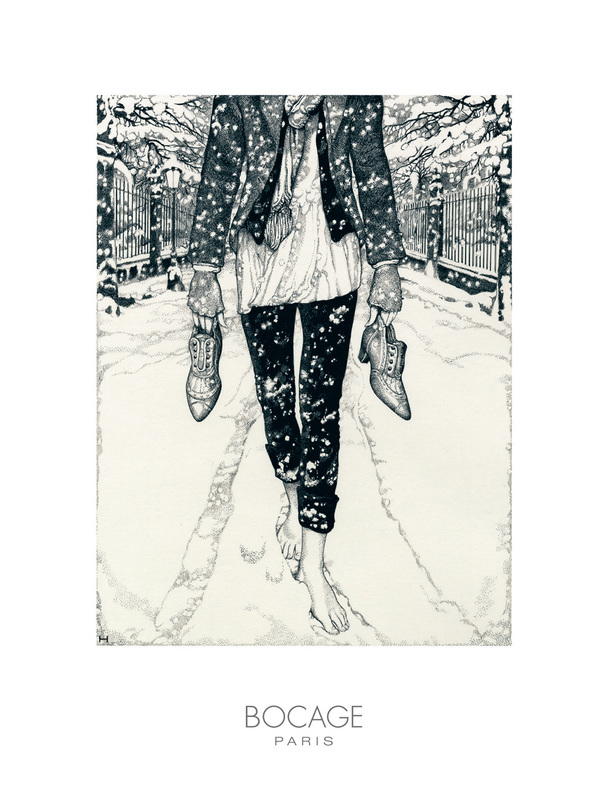 The Bocage Snow campaign was developed at Agence H, Paris, by creative director Eric Galmard and art director Philippe Rachel, with illustrator Vania Zouravliov. 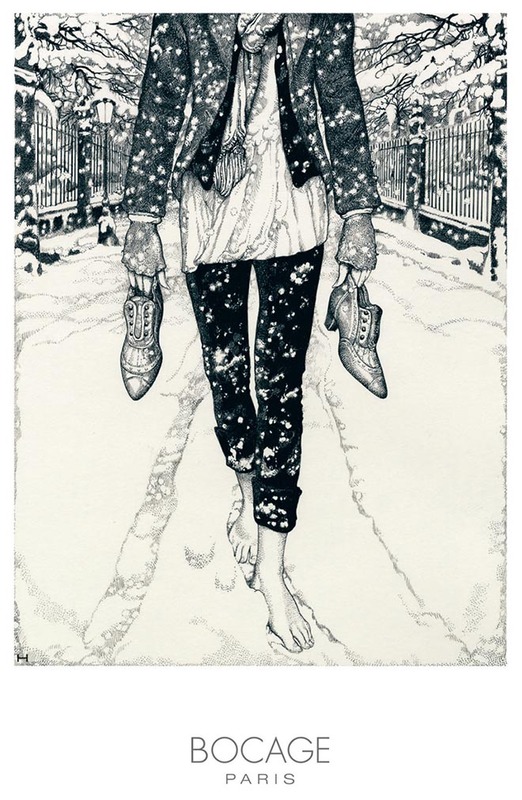 Vania Zouravliov grew up in Russia, becoming famous as a child prodigy, his work being exhibited internationally when he was 13. 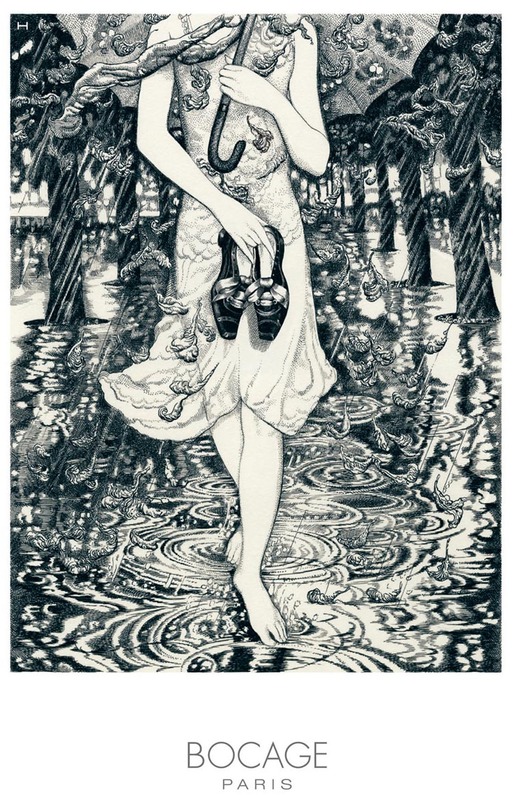 Zouravliov was inspired from a young age by influences as wide spread as The Bible, Dante’s Divine Comedy, early Disney animation and North American Indian art. See his portfolio at Big Active.